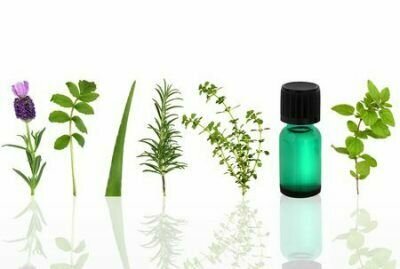 Action: Anti-infectious, antiviral, antibacterial, anti-inflammatory, mucolytic, expectorant, insect repellent. Benefits, Indications: Good for acne and cystitis. Known for its antiseptic prowess, helps you breathe easier when breathing may be challenged. Used in massage for relief for tired muscles. Creates clean, fresh air and surfaces throughout the home and overcomes bad odors. Effective used in a bath, foot bath, sauna, vacuum cloth bag, floor washing water, add to clothes washing, and bathroom cleaning. It is also a stainless steel cleaner, stain remover, and removes sticker residue from glass, or bandaid residue from the skin, when used neat. Chemical Constituents: Contains up to 90% cineole, also contains beta-pinene, alpha-pinene, limonene. Companion Oils: Fragonia, Kunzea, Lemon Myrtle, Lemon Scented Eucalyptus, Rosalina, Tea Tree, basil, cajeput, cedarwood, frankincense, ginger, juniper,lavender, lemon, marjoram, myrtle, niaouli, pine, peppermint, rosemary, and thyme. Precautions: Eucalyptus oil should be used with care and people with high blood pressure and those with epilepsy should avoid it. Excessive use of this oil may cause headaches. Eucalyptus oil is very toxic when taken orally. Antimicrobial Activity of Several Cineole-Rich Western Australian Eucalyptus Essential Oils.